Are you struggling to get clients through your website? …to make your website finally work for you. Detailed instructions on how to get started. Links to 12 free tools that will make your life easier. 37 hand-picked articles that are worth your time. 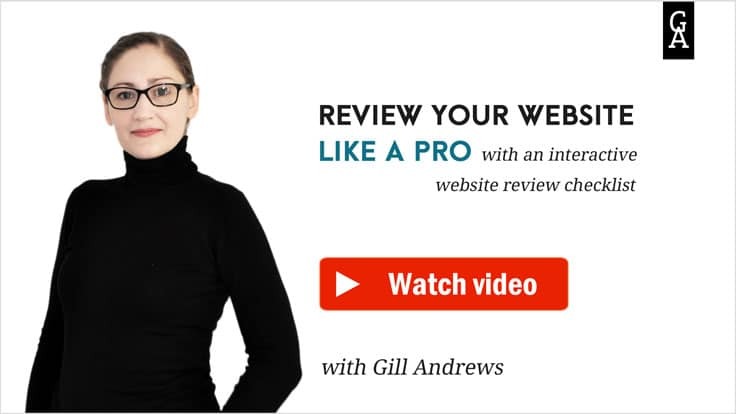 Once a week, I release a new video tutorial that will help you review your website like a pro. I’ll let you know when a new tutorial is released. But if you get bored of them, you can unsubscribe any time.